The Netherlands is perhaps best known for its cheese, but its butter should be equally famous, and where there is good butter, great baking can't be far behind. 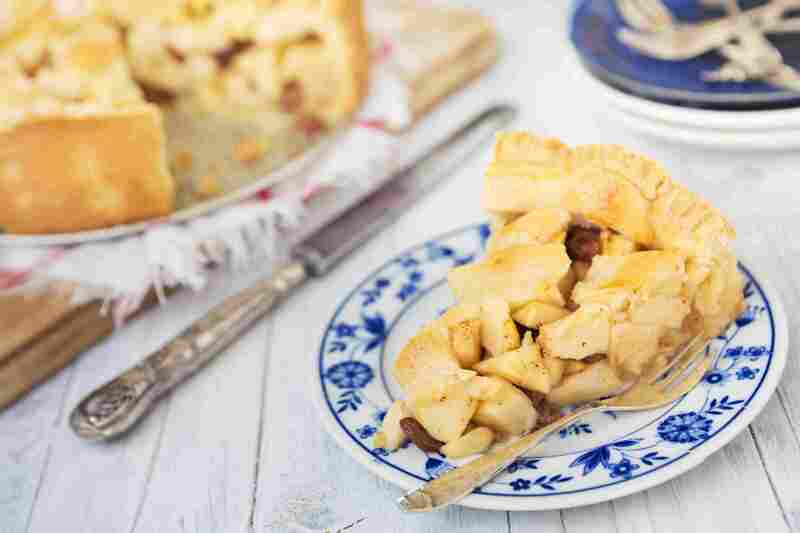 Here are a few of our favorite recipes for Dutch teatime treats. That most classic of delicacies, the classic Dutch apple pie recipe gets a spicy lift thanks to speculaas spices (yes, we're obsessed with this aromatic spice). But, if you prefer it the traditional way, simply use cinnamon instead. This traditional whole wheat bread recipe comes from Hartog's, an artisanal bakery in Amsterdam that specializes in whole wheat bread. Its almost cult-like status means that people will sometimes line up around the block in the pouring rain to get their eager mitts on one of these wholesome creations. This twist on the traditional Frisian sugar bread recipe sûkerbôle uses candied ginger and chili powder, but purists may simply leave these ingredients out, replacing the ginger syrup with regular sugar syrup. Imagine a supersized profiterole, dunked in glossy dark chocolate and served up for your sticky-fingered enjoyment. These traditional tennis ball-sized cream-filled pastries have been made in Den Bosch, where they're known as sjekladebollen ("Bossche Bollen or chocolate balls") for at least a century. You'll find a version of this naturally gluten-free cake at every traditional Dutch bakery - they come in round, square or rectangular shapes. With layers of hazelnut-coffee cream (or mocha-flavored buttercream) sandwiched between crisp-chewy discs of hazelnut meringue, it's a beloved tradition for a reason. A delicious legacy of the former Dutch East Indies, traditional Dutch-Indonesian spekkoek recipe, a layered spiced cake, is an extremely harmonious blend of Eastern and Western traditions. Duivekater is a traditional sweet white bread from the Zaanstreek area in the North Holland province. While the bread takes center stage in Dutch Master Jan Steen's famous ''Feast of Saint Nicholas'' it has become somewhat of a forgotten delicacy, but is certainly worth rediscovering. This ginger-spiked pastry is a typical Jewish-Amsterdam delicacy, but while they were once readily available at kosher bakeries in the city very few such bakeries remain, which means that the gemberbolus is now only produced in very small quantities. What better reason to make them at home? This yummy Dutch chocolate bread with almond paste and raisins, currants and brandy flirts with tradition, but the addition of dark chocolate chips lift and deepen the flavors, for an updated breakfast treat. With its flaky puff pastry shell and squidgy center of almond paste, our homemade version of the classic Dutch banketstaaf is a delicious addition to your Easter or Christmas holiday table.